A thunderous volley from Craig Slater gave Kilmarnock all three points against Inverness at a snow-covered Rugby Park. Greg Kiltie opened the scoring for Killie but Ross Draper, netting his first goal since March 2014 and Caley Thistle's 1,500th competitive goal, levelled before the break. Slater made his mark six minutes into the second half with a wonder-strike and despite Inverness huffing and puffing, the points remained in east Ayrshire. The win puts Killie 14 points clear of bottom club Dundee United, while Inverness drop out of the top six. Kilmarnock made four changes from the Scottish Cup win over St Johnstone a week ago. Kevin McHattie, Steven Smith, Rory Mckenzie and Josh Magennis dropped out for Stuart Findlay, Jamie Hamill, Kallum Higginbotham and Dale Carrick. Caley Thistle made one enforced change, Carl Tremarco replacing the suspended Danny Devine. 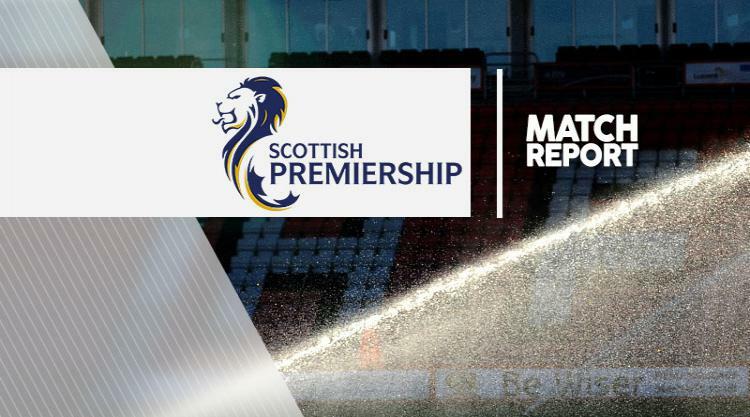 Both teams had to battle against worsening conditions in the opening 10 minutes but it was Killie who adapted better, applying plenty of pressure on the Inverness backline. It paid off nine minutes in when Greg Tansey's header to Tremarco was short and Carrick nipped in. He fed Hamill and an immediate cross found Adam Frizzell. His initial effort was blocked by a sliding David Raven but Kiltie was on hand to smash in the rebound. The best early chance for the visitors came when Liam Polworth tried his luck from range. He had scored twice in similar fashion against Hamilton but there was to be no spectacular goal this time as Jamie MacDonald parried it wide. Referee Don Robertson halted the game 23 minutes in to allow snow to be cleared from the pitch markings. After a brief two-minute break, play was able to resume. Kilmarnock's trio of Carrick, Slater and Kiltie were linking well and Caley Thistle were searching for the same consistency. One break found Draper in a promising position but rather than striking at goal, his lofted pass aimed for Miles Storey rolled harmlessly to MacDonald. Draper made amends minutes later though, reacting fastest to turn in from close range when Tansey's cross was blocked. After a delayed start to the second half because of the snow, Caley Thistle started brighter with Gary Warren testing MacDonald with a glancing header. But six minutes in Gary Locke's men were back ahead in impressive fashion. Hamill's cross was headed up but not away by first Warren and then Raven, with the ball falling to Slater who smashed in a superb volley off the underside of the crossbar. Hamill rattled an effort off the advertising hoardings and Storey hit one straight at MacDonald as the tempo picked up. The former Hearts and Falkirk stopper palmed away a dangerous Tansey free-kick that narrowly evaded Iain Vigurs' reach as Inverness again pressed for an equaliser. Killie were holding the Caley Jags at arm's length and a Williams cross, which both Draper and Alex Fisher failed to get a touch on, summed up the visitors' day. Tansey fizzed a late shot wide and despite seven minutes of stoppage time, the hosts held on.